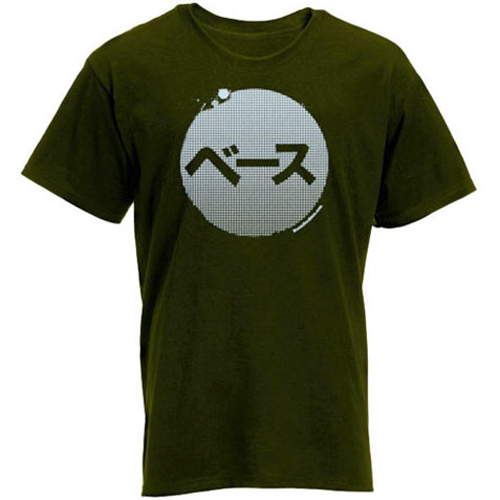 Our popular "Japanese bass" T's feature the word "bass" written in Japanese katakana. These are the highest-quality American Apparel T's. 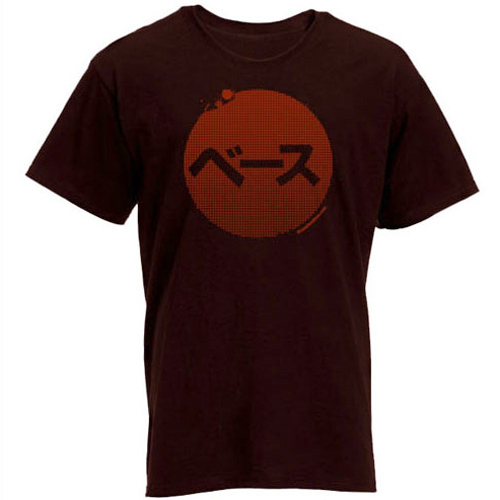 Chocolate brown shirt with red design. These are the highest-quality American Apparel T's. Olive green shirt with light blue design. Available in black (with white & red graphics) on the highest-quality, slim cut American Apparel T's. 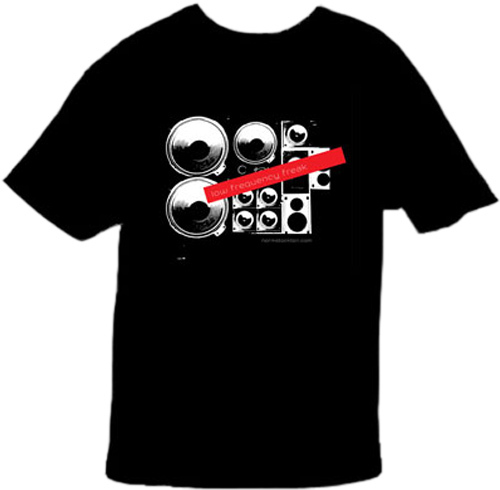 The same "Low Frequency Freak" design on a black Hanes Beefy-T for a looser fit than the American Apparel's. Available in black (with white & red graphics).